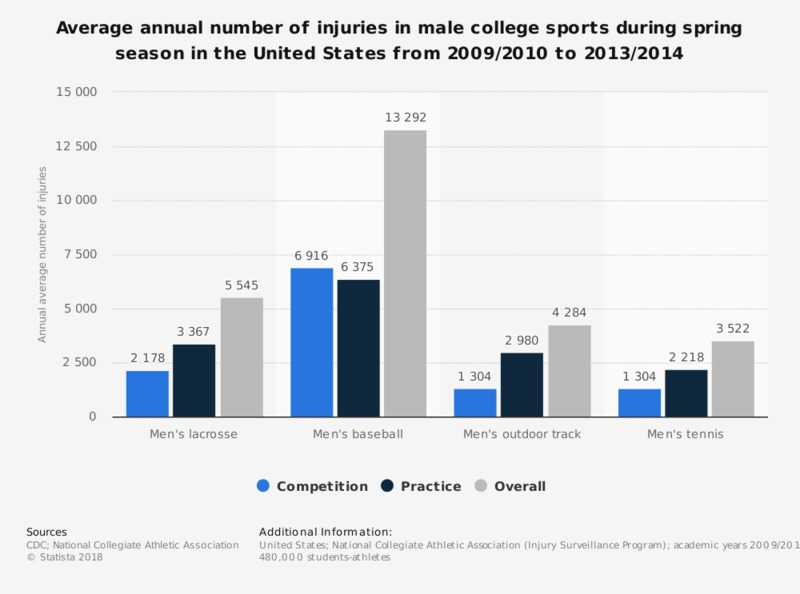 This statistic represents the average annual estimates of the number of male college sports injuries in selected sports in the U.S. during spring season, for academic years 2009/2010 to 2013/2014. The 5-year average gives a total of 5,545 injuries in men's college lacrosse during spring season. Statistics on "Neurological injury in the United Kingdom (UK)"